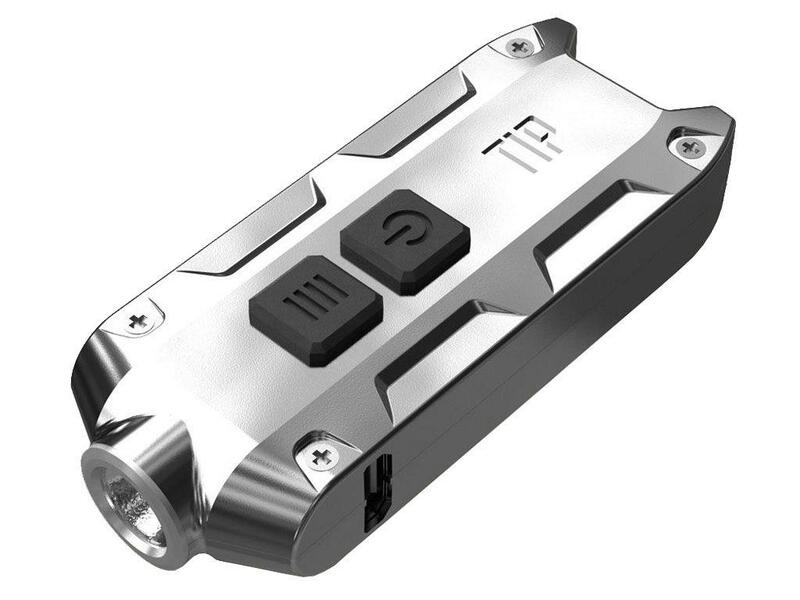 Nitecore TIP-SS Rechargeable Keychain Light | Replicaairguns.ca | New Website! Comments: The Nitecore TIP-SS may be tiny, but its capability to throw a 360 lumens beam as far as 74 meters (81 yards) is nothing to scoff at. On its lowest brightness output setting, the TINI can run for up to 46 hours. Charge the built-in li-ion battery using the integrated micro-USB port to any USB power source to keep this handy keychain light going. Its heavy duty stainless steel construction is built to withstand daily use, resistant to dust and water.